Liberty Life wealth management plans on making you wealthy. Liberty Life is not merely an insurance firm; they are also a wealth management group. Their mission is to assist people to create and manage wealth. They do this with a vast range of products from life cover and medical aid products to short term insurance. Also offered are real reward programs and retirement planning. It is a large company that have an excellent reputation in financial circles as well as with consumers. A brief review of client feedback sites quickly notes the fact that many happy clients praise their customer service. In fact, it’s difficult to find complaints about this company. In fact, it’s difficult not to admire this company. What is wealth management with Liberty Life and how do I benefit? Liberty Life believes that every person needs a group of insurance products. A life policy, this forms the basis of a long-term plan that cares for your family. 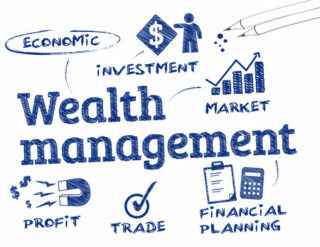 Medical cover is the basis for wealth management. Even if you can only afford a hospital plan, you should get one. Medical costs are often unexpected, and they can be substantial. There are many examples of families that have drained their savings to pay for treatment. When disease or accidents strike, you need to get the best treatment. Go online and get free Life Insurance quotes. Short term insurance is equally vital. What if your house burns down or your car gets stolen? Most people are left without assets if they do not enjoy cover from a well-known insurer. Many people enter retirement without enough money to enjoy a trouble free old age. Pension funds don’t always make ends meet, therefore, it’s important to have the backing of a firm such as Liberty Life. Liberty Life has products that cover each and every possible event and many people base their entire long term finance plan on them. The firm prides itself on helping their clients develop long-term plans. Plans that assist them to build a solid base for their families for generations to come. The company knows that people struggle to manage their affairs; that’s why they employ well-qualified advisors to help meet the needs of individuals and families and to devise plans that are both realistic and affordable.